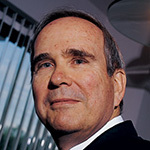 Founder and President of Income Securities Advisors, Inc. Mr. Lehman founded the Bond Investors Association (BIA) in 1983 as an information organization for individual bondholders. ISA is the successor to BIA. He has authored numerous articles on bonds and fixed income investing both in financial column and book form. He is currently a regular columnist on fixed income investing with Forbes Magazine. He has taught finance and accounting in the MBA program at Barry University in Miami and has spoken at numerous investment seminars. Mr. Lehmann holds an MBA from Columbia University, is a CPA and a registered investment advisor. This preferred stock is issued by one of the leading global investment banks. Today, we are recommending a high-yielding preferred stock and also selling a preferred whose shares will be voluntarily delisted, pending a merger. Selling a preferred whose shares will be voluntarily delisted, pending a merger. This preferred stock is issued by Duke Energy Corporation. Two analysts have increased their EPS for this mega bank in the past 30 days. This preferred issue is backed by a global investment management business. This closed-end fund has a current annual dividend yield of 11.58%, paid monthly. This preferred shares have a high yield and is suitable for high-risk investors. This preferred stock is issued by a money center bank and has a yield over 5%. This bond is issued by Michigan’s largest electric and natural gas utility. Today’s recommendation is a Preferred Exchange Traded (PET) Senior Note with a current indicated yield of 7.22%. This closed-end fund focuses on long-term capital appreciation and is widely-diversified. This preferred stock is issued by a community bank in the Midwest. This preferred stock is issued by a regional bank holding company. This preferred stock is issued by a REIT that specializes in single-tenant real estate properties. This high-yield preferred stock is issued by a Boston REIT whose shares are rated ‘Strong Buy’ by Wall Street analysts. These subordinated debentures from Allstate have a yield to call of 3.73%. This fixed rate PET issue has a current yield of 5.21%. This perpetual stock is issued by a mortgage REIT, and pays above market rates. Stocks aren’t the only way to build your investment capital. The Forbes/Lehmann Income Securities Investor recommends bonds, convertible stocks and preferreds that not only protect your capital, but produce steady income and impressive capital gains.